Math isn’t the same as it used to be! Parents may struggle to help their children learn even basic concepts, as the way to work the problems today is different than even 10 years ago. One way to help your child build their math skills and become more proficient in this essential work is to have them use math apps. 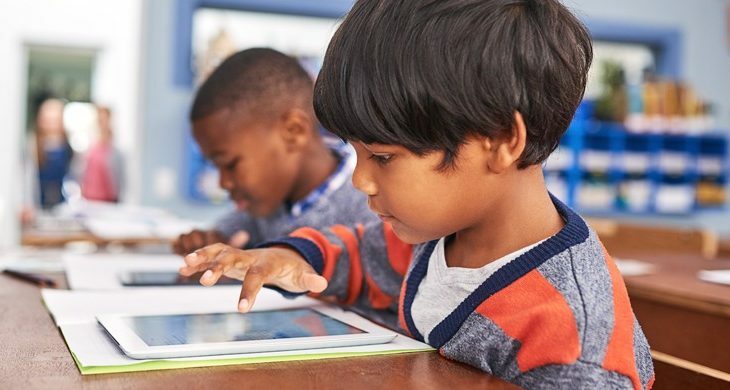 Whether your child wants to become a computer scientist, or you simply want to keep him on track for the school year, you’ll find that math apps reach kids on their level. 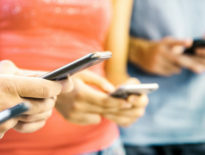 This generation loves technology, so having a mobile device in hand is second nature. Here are five math apps to help you get off on the right foot this year for back-to-school time. Monkey Math is a fun app for beginning math students. It covers basic math such as addition, subtraction, patterns, and counting. The app is targeted to ages three to six but works well to help kindergarten students learn the basic concepts needed to enter first grade. Children learn by completing fun activities and solving problems for the monkey. The app has a 4.3-star rating and works with iOS 7.0 or higher. It works with iPhone, iPad, and iPod touch. A separate version is available in the Google Play store for Android devices. Motion Math is an interesting option because students can access it via a PC or a mobile device. The app offers math training for grades Pre-K, K–4, and 5–8. The program was created by graduates of the Stanford Learning, Design and Technology program, and the mobile games teach fractions, place value, basic math, estimation, and even economics. The app allows a teacher to sign in and see a student’s progress (can be a school teacher or a parent). You can try the program for free, and if you like it, then the rates vary depending on the level you choose. The least expensive plan is $6 per student per year, and the most expensive is $25 per student per year. If you want only the app, you can buy the super bundle with all games for $35.99 for the iPad. You can also purchase individual games, depending on your child’s needs, for $3.99, $4.99, and $5.99 each (price varies). (Purchase single apps for $3.99 and up or a Super Bundle for $35.99). CK-12 targets both math and science, which might be helpful for girls trying to inprove their skills in these areas. Girls with skills in math and science sometimes have their focus diverted due to stereotypes and teaching methods. Encouraging them to use an app such as CK-12 and giving them strong female role models in the subjects of math and science helps combat this trend. 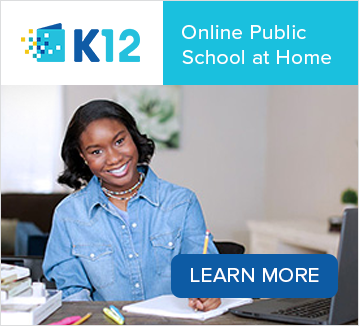 CK-12 features practice models for grades K–12. The app has more than 5,000 math and science lessons. The content is created for teachers and compatible with STEM education standards. The app has 4+ stars and 562 reviews on Google Play and is available for free. Have you ever wished there was a community of people you could turn to with math questions when your child is doing homework? There is! The Brainly math app is basically a community-based app made up of people who answer each other’s math questions. The levels go from kindergarten all the way through college levels. This app covers a variety of topics, including math. Questions are typically answered fairly promptly. Because it’s free, you may need to wait a bit before your question is answered. Whenever possible, get a quick start on homework assignments, and allow time for answers to questions to come in. Brainly has a five-star rating out of 344,000+ reviews. Splash Math offers lessons in more than 350 math skills. The app works via interactive games and rewards kids with coins they can later redeem for virtual pets. 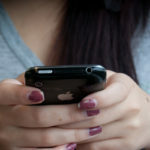 The app works with iPad, iPhone, and desktop computers. 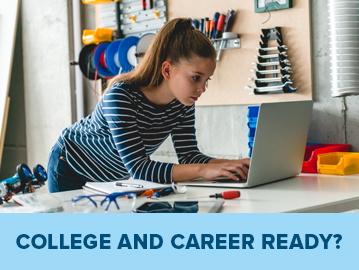 Parents can access progress reports via a dashboard or a Parent Connect app. They’re also sent weekly progress reports via email. The game has 4.4 out of 5 stars and 1,400 reviews. Although the game is free, in-app purchases are offered for continued play time or other features. 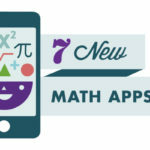 These options are some of the most popular math apps available for students in kindergarten through 12th grade. New apps are released every week, and upgrades are made to old ones. 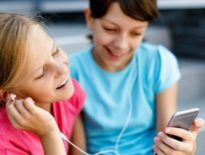 The key to finding the best app for your children is finding the one they easily understand and will use. With a little experimenting, your child’s interest in math will soar, and they’ll be getting straight As in math before you know it. Kayla Matthews is a technology journalist with an interest in IoT, IT productivity, and continued learning. She's a senior writer for MakeUseOf and a contributing writer for Innovate My School, Teachers with Apps, and others. To see more of her work, visit ProductivityBytes.com.